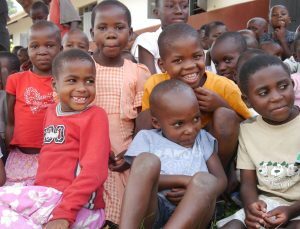 Bridge of Hope Children’s Ministry has been led by God to establish a Bible Based Holiday Club. By finding new and exciting ways to engage with the local children, we can help them understand simple Bible stories whilst having lots of fun and the opportunity to play together. The Bridge of Hope School classrooms are a hive of activity even during the school holidays as this is where the Bible Based Holiday Club takes place. Five hundred children aged between 5-17 years attend the twice weekly sessions and the sound and sight of their drumming, dancing and singing is truly impressive. The teachers at the Bible Based Holiday Club place the children into age appropriate groups known as Seekers, Sowers and Shepherds. This enables them to help the children develop their confidence, learn skills such as socialisation, sharing, personal hygiene and which local foods are nutritious. The older children also have the opportunity to talk together in their own gender groups and learn about personal safety. The teachers are always willing to give the children advice and to listen to any of their problems. One of the highlights of the Bible Based Holiday Club is when the snacks are handed out and each child receives some biscuits. For many of these children these snacks are a rare treat and greatly appreciated. Many guardians report a positive change in their child as their behaviour has improved, they understand right from wrong and they are more helpful around the home. Children go home and tell their guardians about Jesus and the Bible stories they have heard. The guardians enjoy this interaction as so many of them have never learnt to read. 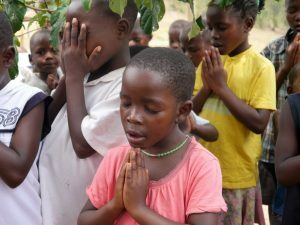 The children have also reported that they now enjoy attending church as they are confident enough to participate and can understand the content of the services. We are a Christian charity led by God to establish a Bible Based Holiday Club.